TMT and NOAO will host the second TMT Science Forum at Loews Ventana Canyon Resort in Tucson, Arizona on July 17-19, 2014. The TMT Science Forum is an an annual gathering of astronomers, educators, and observatory staff, who meet to explore TMT science, instrumentation, observatory operations, archiving and data processing, astronomy education, and science, technology, engineering, and math (STEM) issues. 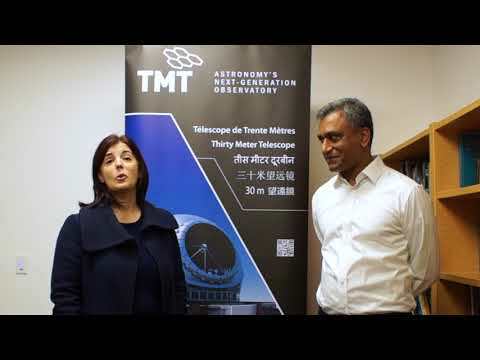 It is an opportunity for astronomers from the international TMT partners and from the US-at-large community to learn about the observatory status, discuss and plan cutting-edge science, establish collaborations, and to help shape the future of TMT. One important theme for this year's Forum will be the synergy between TMT and other facilities in the post-2020 astronomical landscape. There will be plenary sessions, an instrumentation workshop, topical science sessions and meetings of the TMT International Science Development Teams (ISDTs). Registration: Registration is now open. The deadline for registration/abstract submission and accommodations is June 10, 2014. See http://conference.ipac.caltech.edu/tmtsf2014/ .